Home Blog Why did we discontinue the free DesignPro accounts and what to expect next? DesignPro started with the simple idea that our Graphic design tool could help businesses create graphics without the hassles of dealing with complicated software and expensive designers. As we grew from a handful of customers to a few hundred, we expanded to offer a paid version of the tool. Fast forward to today and DesignPro is used by thousands of businesses. The free version has always been heavily used. In fact, about 80% of the users using DesignPro today are using the free version. We think that in order to successfully help businesses create graphics for their marketing channels, we need more than just software. We need more pre-made design templates, more features that other graphic design tools do not offer, more automated options, well-written guides. We need a good user experience. We need a website that explains the product. We need to support everyone who uses it. Doing all of these things requires a team dedicated to working on DesignPro and helping customers every day. 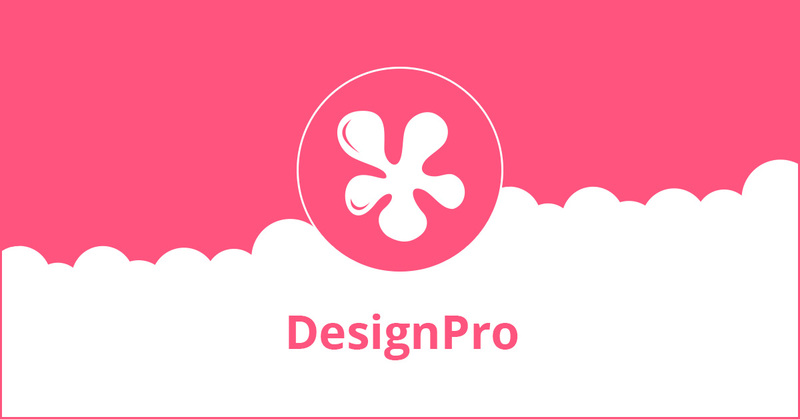 DesignPro could have been free, and I’m sure it would attract a great deal of users, but it would never deliver the best options on the market, if we keep it free. Currently, about 20% of our revenue comes from users who use the paid version of DesignPro and 80% – from the users who use our other products. 0% of our revenue comes from the 80% of customers on the free DesignPro plan. Something about that doesn’t feel right. We’d like to see a healthy balance, where all customers are paying a small fee ($10/mo), but the sheer number of them means it’s in our interest to build new features and improve their user experience. Starting today, individuals and businesses wishing to use DesignPro graphic design tool will sign up for a free 14-day trial period and if they love the tool, they will be able to get it for as low as $10 per month. Our hope is that in making this change, we’re able to make DesignPro more powerful and beneficial for our users. What to expect in the next month or so? We are currently working on a powerful new feature that will allow businesses to upload their company logo and DesignPro will transform it into different variations like black and white version for example. This way we will remove the burden to ask you to upload as many variations of your logo as you will need to cover all different design needs and will make your logo fit automatically to any background or graphic. But that’s not all. DesignPro will also extract your brand colors from the logo so you will be able to use them in all your designs with ease. Another project in the pipeline is a powerful new automation feature that will generate branded quotes for different business niches – you’ve just got to set it and forget it. Log in to your account and you will find a special promo price available to users who upgrade. But hurry! This offer expires 09/10/18.